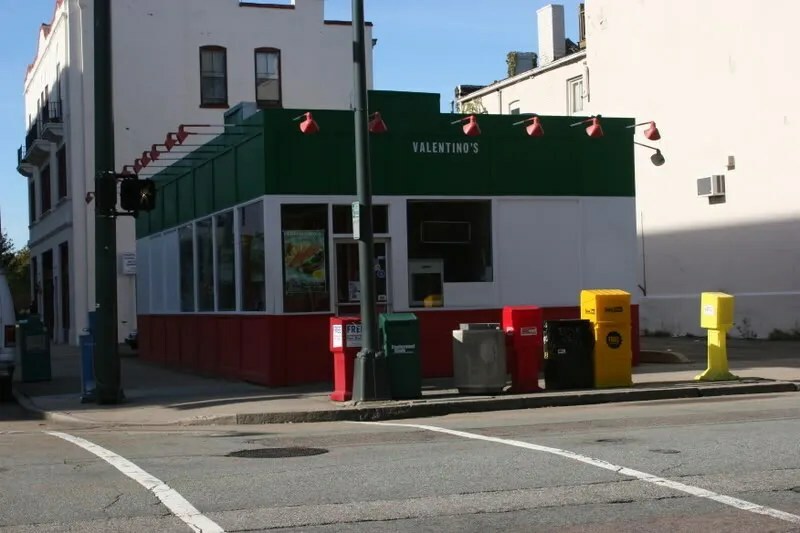 This entry was posted in Diners / roadside related, Diners/ restaurants, Roadside attraction and tagged Little Tavern, Porcelain Enamel, Richmond, Richmond VA, Richmond Virginia, State Capitol, VA, Virginia, White Castle, White Tower by Spencer Stewart. Bookmark the permalink. My father worked at this White Tower in Richmond, Virginia. He worked for the company for 50 years until he retired in 1969. He started out as a grill man and was promoted to supervisor. He worked in Tampa, Florida and Sarasota Florida in his later years. I also worked for the company as a waitress from age 16 to age 25. I was very sad when they closed the White Towers that I grew up knowing. My father’s name was Louis Blount, but everybody called him Louie or Mr. Blount. You may be interested in this site. I posted your White tower oic there, and you may be able to find the answer to your question. The pictures are of two different addresses. 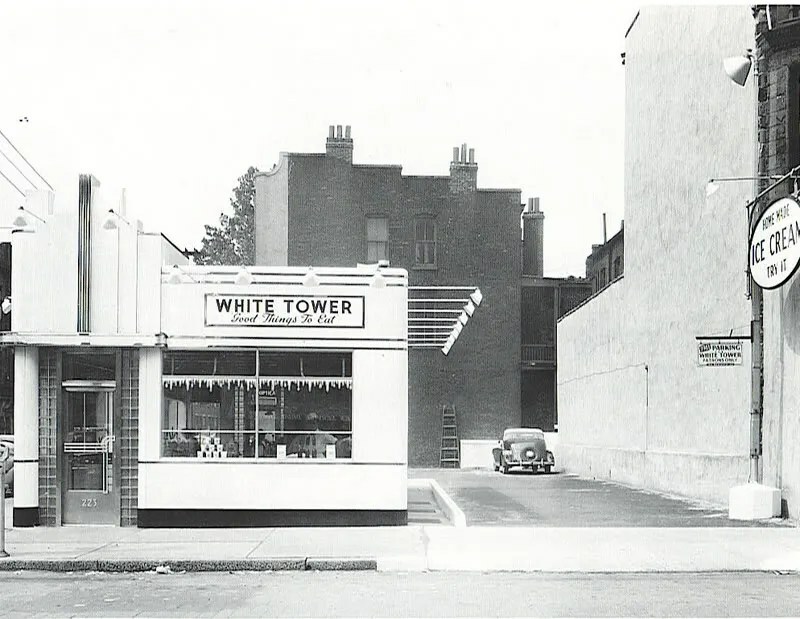 The White Tower was at Broad and Boulevard and is now a Subway. No, these are the same address everything in all the backgrounds lines up. There were at least five White Towers operating at one time, I need to double check some things, but I believe the Broad and Boulevard location was No. 5, built in 1950. I met my wife Joann Coleman (Golding) there at Third and Grace Street. She worked there while attending Thomas Dale High School in 1957. We have been married 54 years and have 5 children, 1 foster son and 10 children. Please come to Richmond VA….would be welcomed ! !